Google is in the process of making some changes to the Pixel Launcher, and that means it's time for the third-party launchers to play catch-up. Action Launcher has been in the lead when it comes to adopting Pixel things, but here comes Nova Launcher with a revamped search box, Pixel 2-style notification dots, and more. You'll need the full version to get all the new stuff, though. 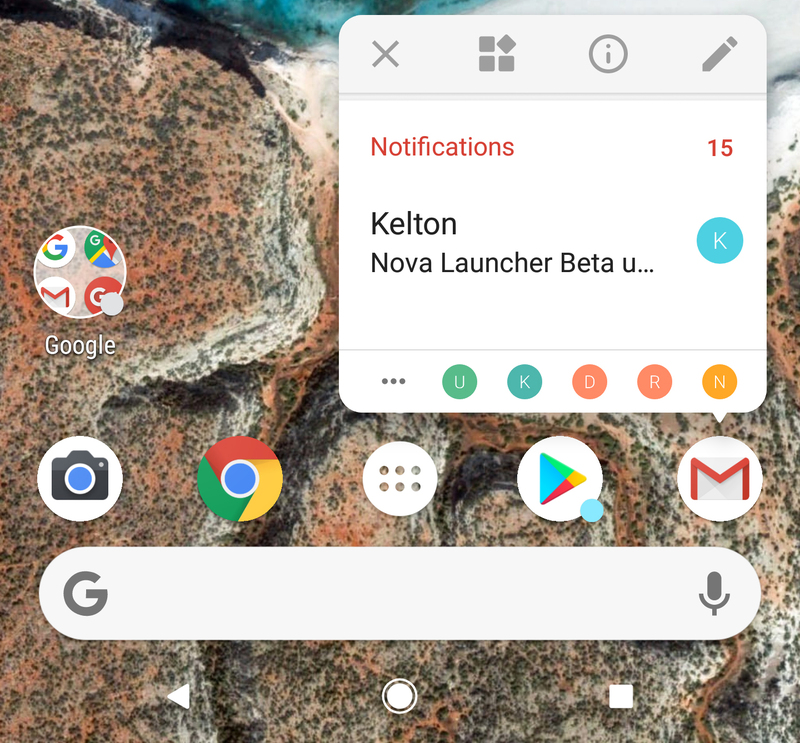 The updated Pixel Launcher features are available in the latest beta of Nova, version 5.5-beta3. Here's what you get. The search box can be placed at the bottom of your screen either above or below the favorite tray. You still get all the usual customization options for the dock, too. Nova has had some notification badge options for a while, but now it has Oreo-style dots with the notification pop-up. You can long-press on icons to get notification access right there. The layout is the same as the Pixel 2 version of the launcher, which is a bit more compact than the old one. Action Launcher added dots and notifications a while back, but it's still OG Pixel-style. You have to join the beta program on the Play Store if you want access. Alternatively, there's an APK you can sideload on APK Mirror.